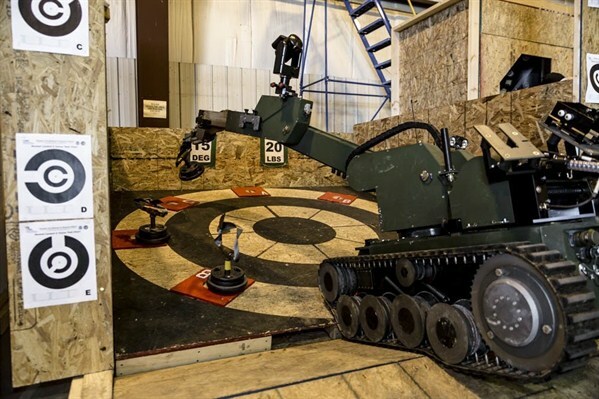 An operator controlled robot is run through an obstacle course in a "robot rodeo" at the New York State Preparedness Training Center in Oriskany, NY, June 24, 2015 (U.S. Army National Guard photo by Sgt. Harley Jelis). The U.S. Navy and Air Force have begun preliminary work on developing a sixth-generation unmanned fighter. In an email interview, Peter Singer, a senior fellow at the New America Foundation and co-author of “Ghost Fleet,” discussed the next generation in U.S. military technology.